This entry was posted in BBQ, beef, cheese. Bookmark the permalink. When you mentioned that you were making these I hoped you’d be blogging them. What a killer combination!! whoa! That is quite the burger. 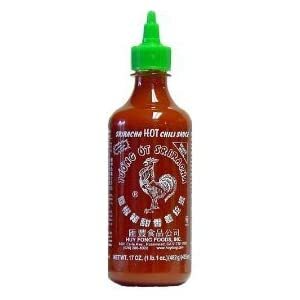 I had no idea about this sriracha cookbook – maybe a sign I need to buy more of the rooster bottle! Ahhhhhhhhhh yes, I love the rooster sauce! It’s the best thing eva! Mmmmm, I might have to make these for next week! This looks amazing. My husband and I both love Sriracha. We will definitely have to give this a try. That looks freaking fantastic! I’m not a fan of blue cheese dressing though….maybe I could just use mayo? Yeah you could, or even ranch dressing, but it wouldn’t have quite the same flavor profile. The tangy-ness of the blue cheese goes great with the spiciness of the Sriracha (sort of like the classic hot wings/blue cheese combo), but still give it a shot. It’s an awesome burger! I was reading that book earlier this week! It’s now on my Amazon wishlist. The burger sounds fantastic. Pingback: Ultimate Sriracha Burger. 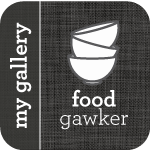 | The Jey of Cooking. Pingback: Recipe Swap: Chicken Parmesan Burgers. | The Jey of Cooking. Found this recipe from The Jey of Cooking and was thrilled to try it. And so thrilled with the results that I had to post on my little spot and link back to you! Thanks so much for this delicious recipe!